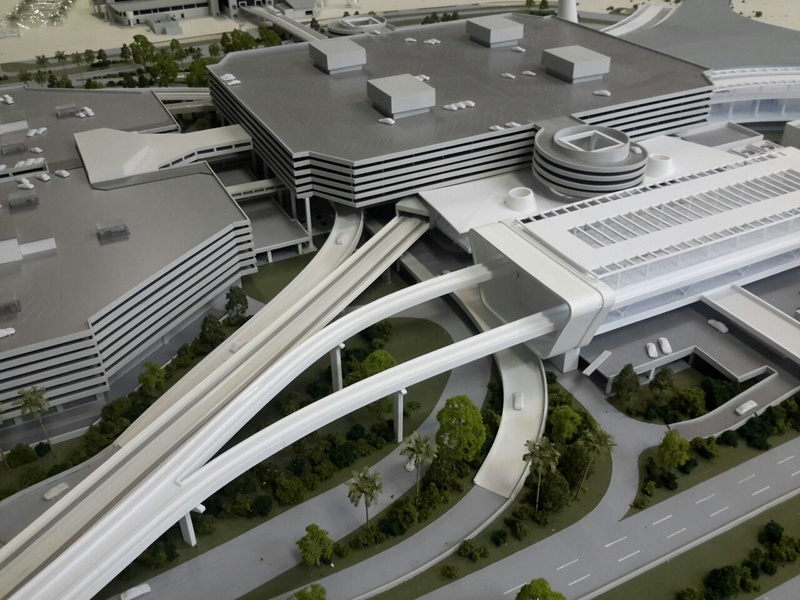 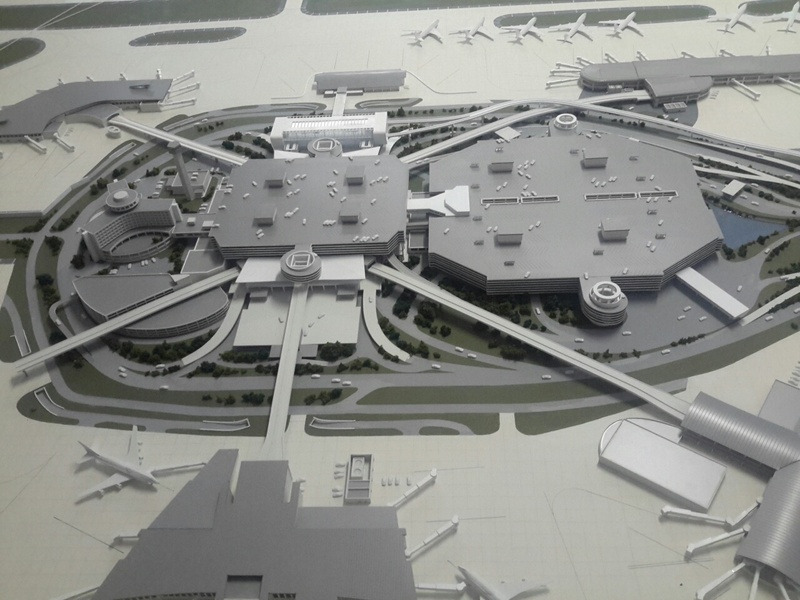 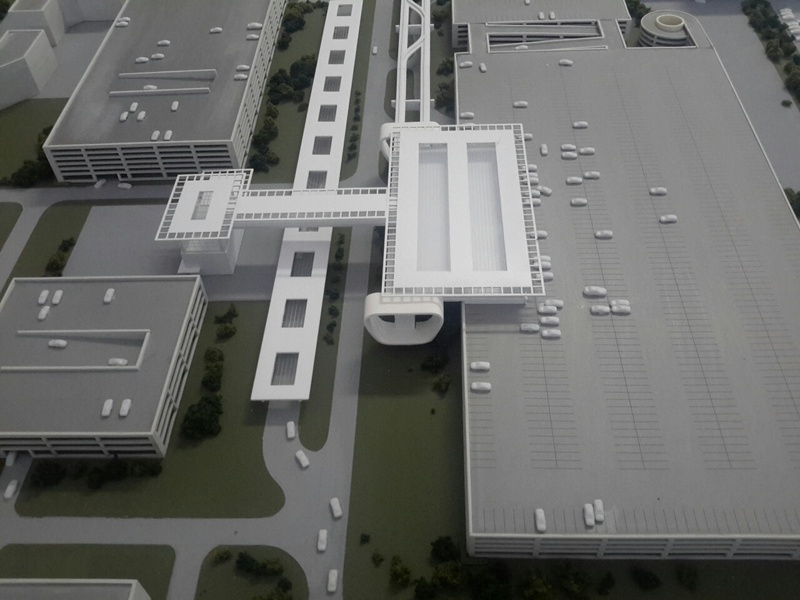 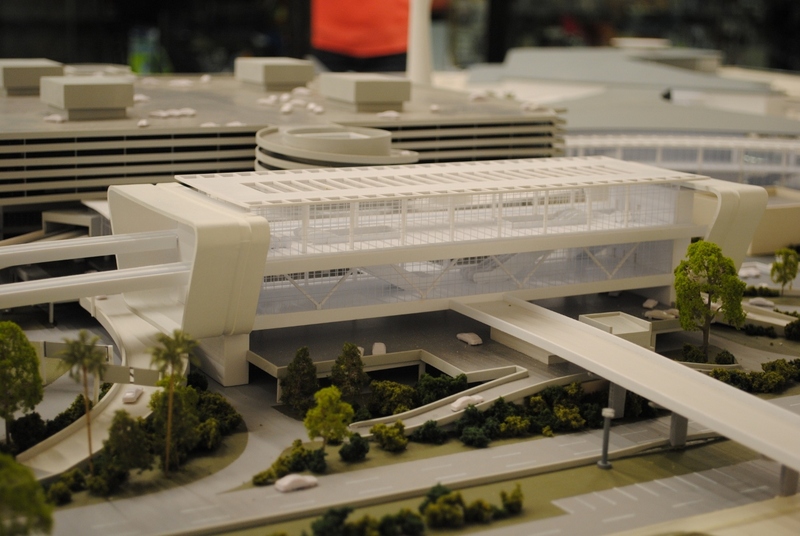 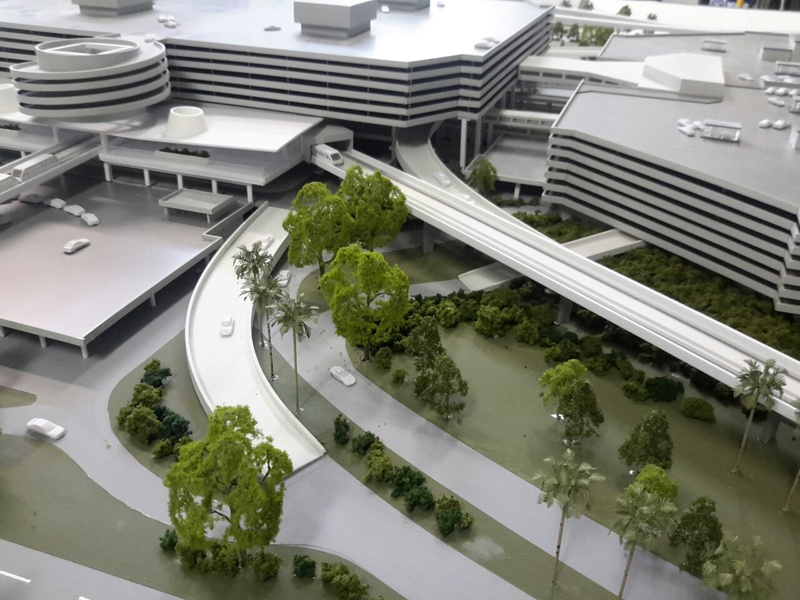 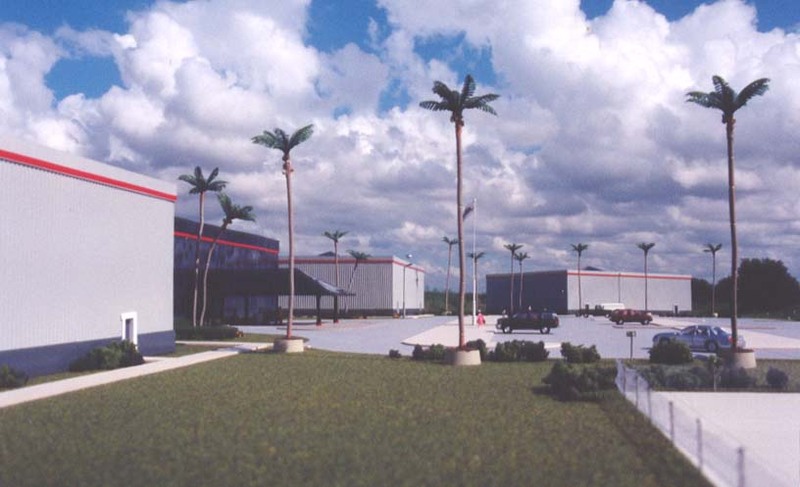 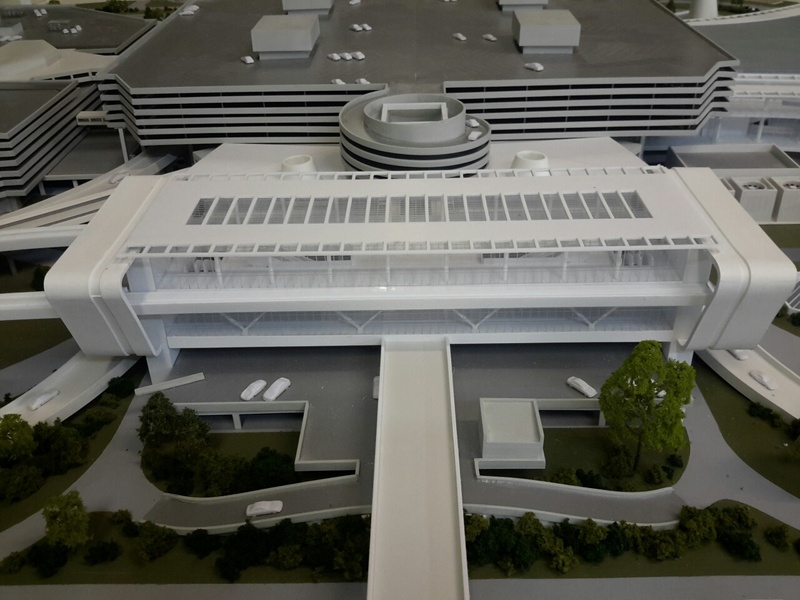 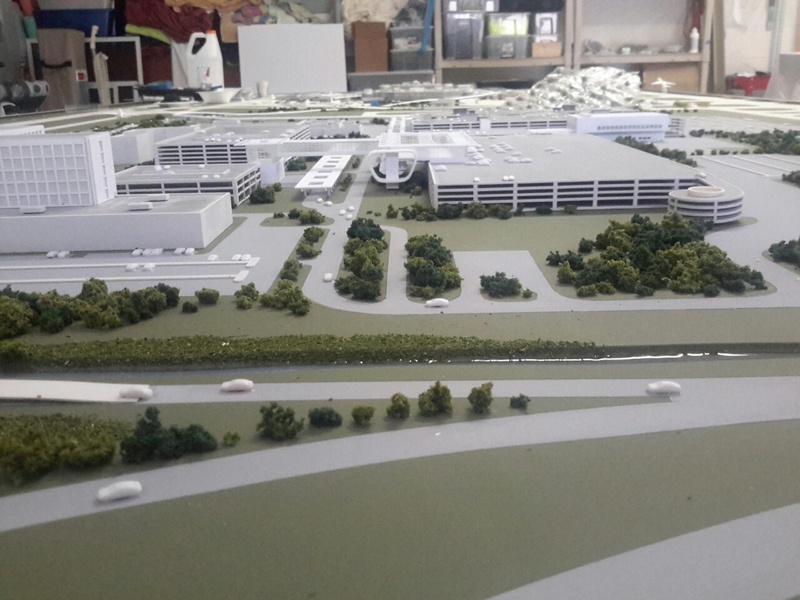 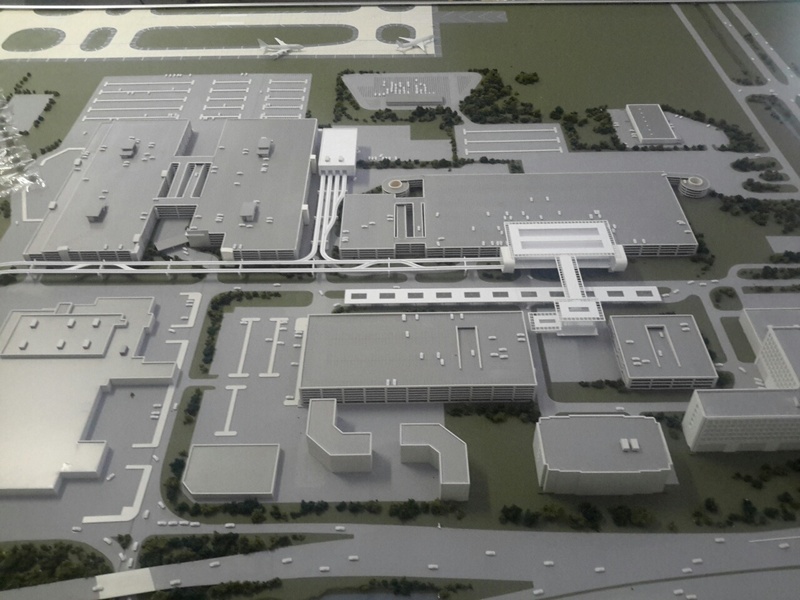 As a result of a RFP from architects Gresham Smith & Partners, on behalf of their client Hillsborough County Aviation Authority, KDM were selected to produce two models showing the existing and proposed development of Tampa International Airport. 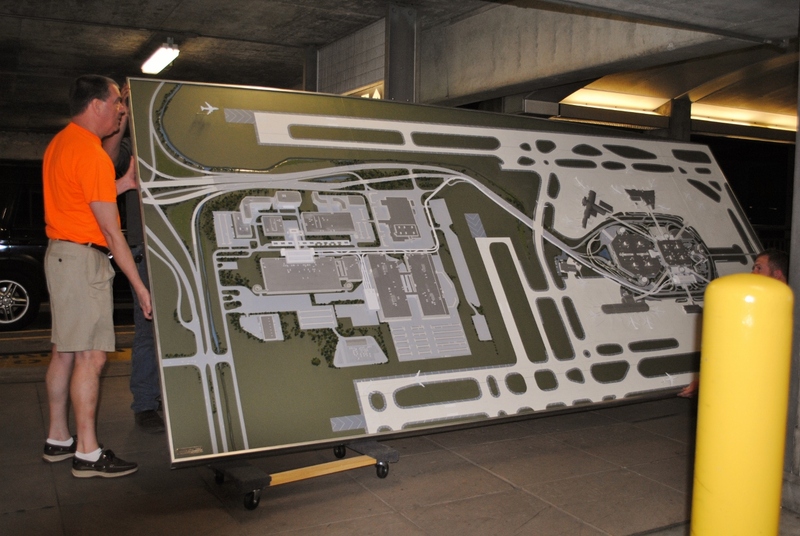 The larger model with Grey aircraft is 1" = 30' (1:360) the smaller with white aircraft is 1" = 60' (1:720). 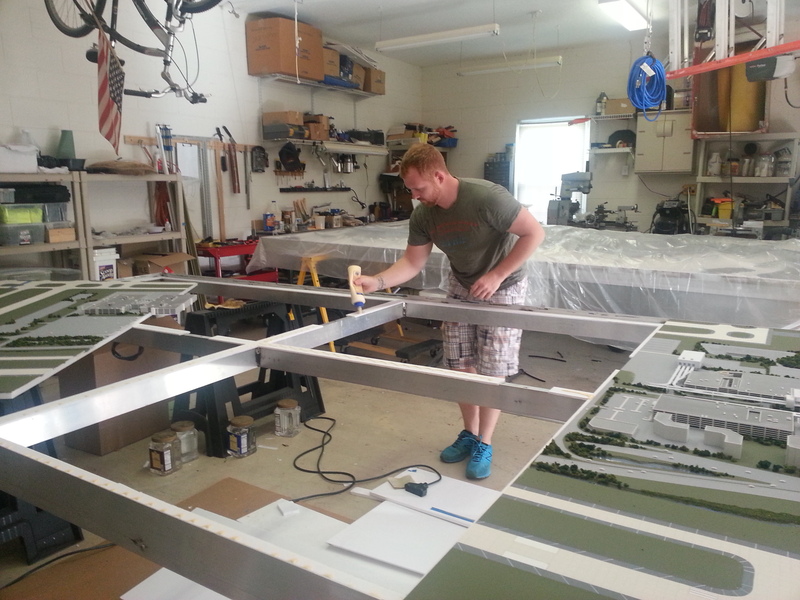 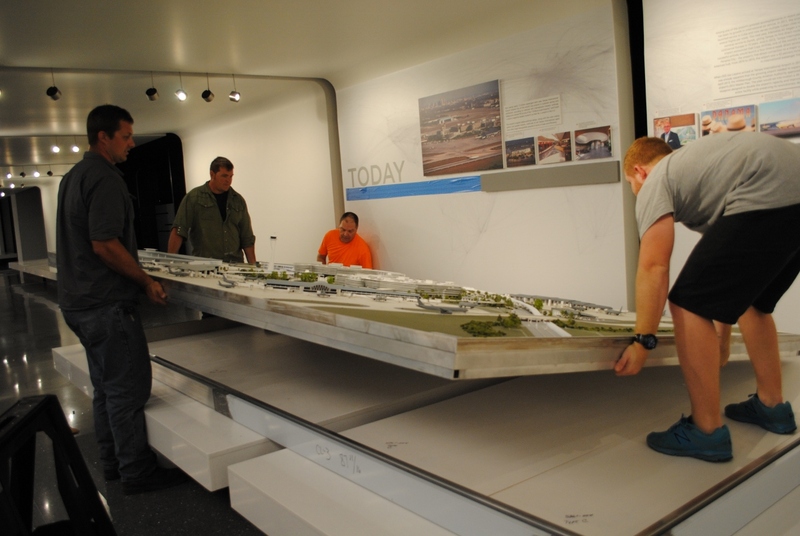 Both models are 14' in length, the 1:360 is 8' wide whilst the 1:720 is 7' tapering to 6'. 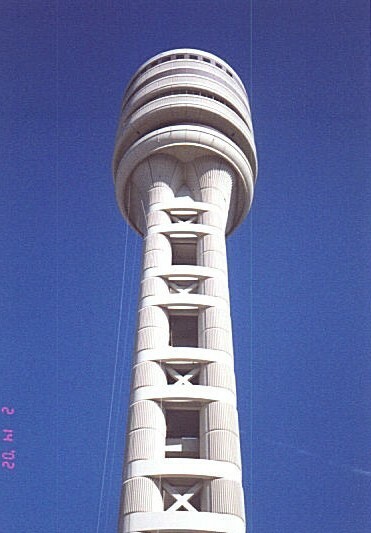 The tapered (West) side is slightly radiused to flush fit against an existing construct. 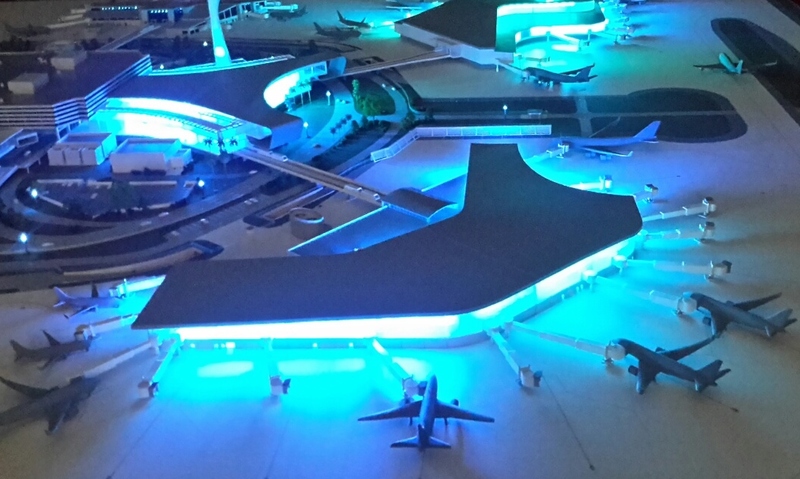 Both are lit using remotely controlled (RF) 75 watt LED units and over 2500 individually installed and routed .75mm fiber optic strands. 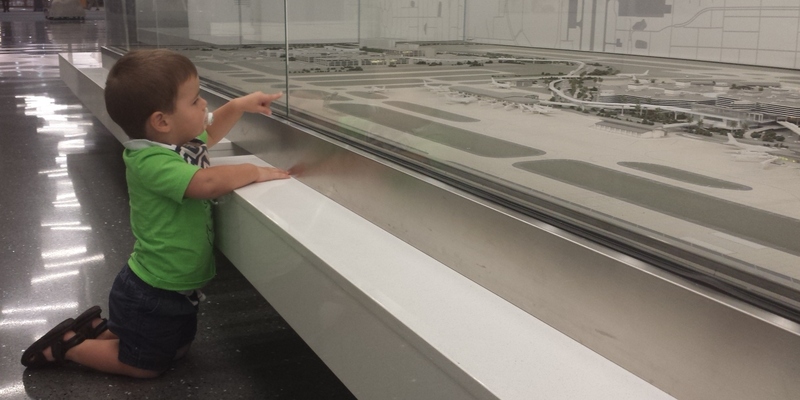 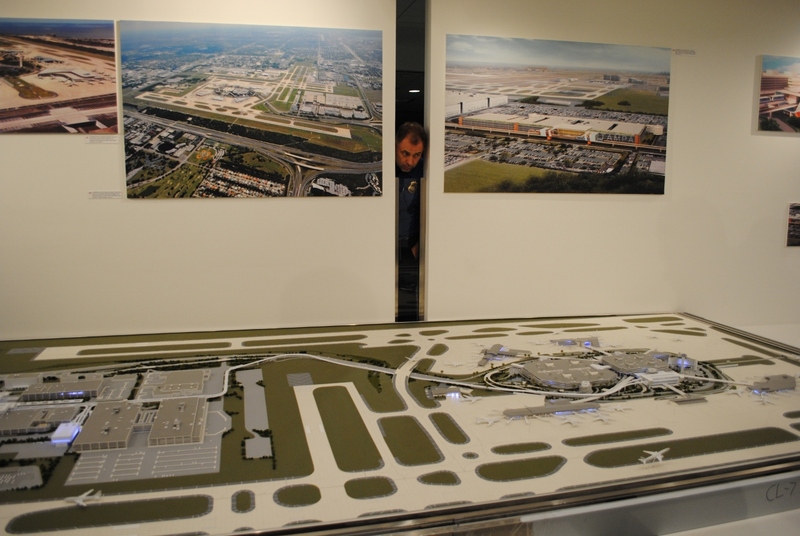 The models are on permanent public display in the new HCAA gallery located on level 3 of the main terminal building. 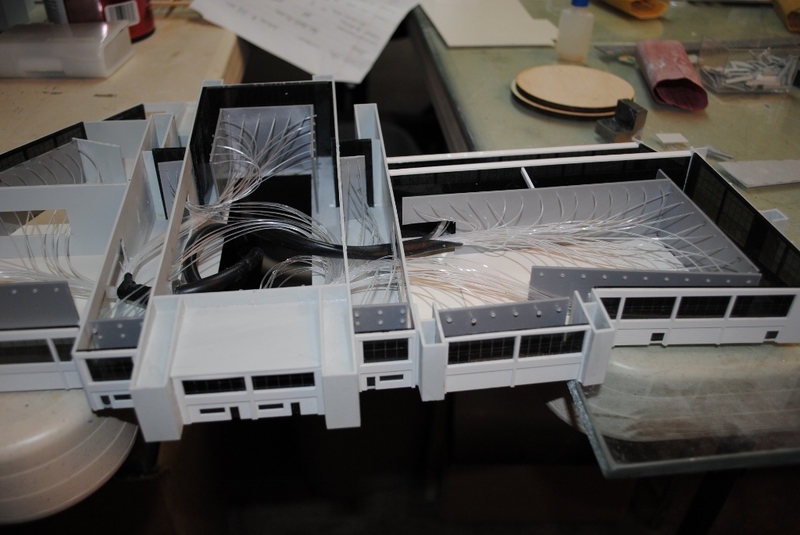 Photos below taken during installation. 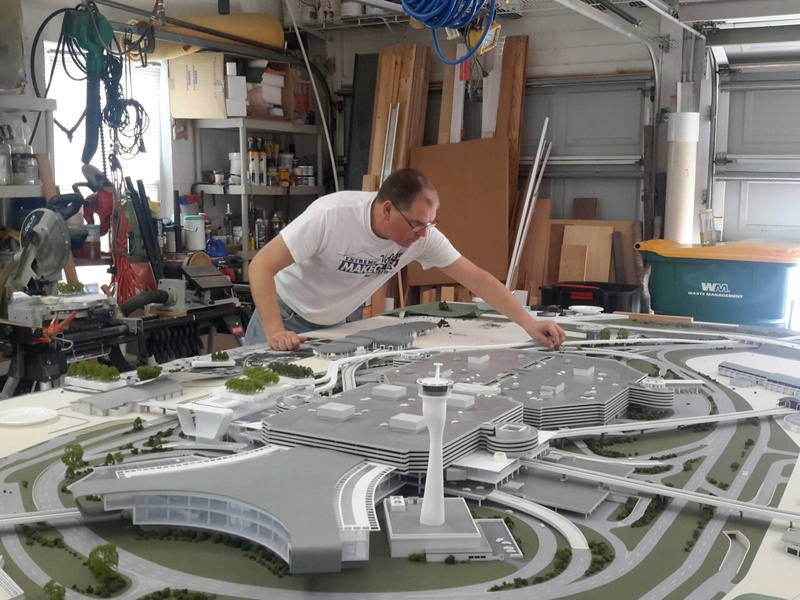 At 1:96 scale, this model stands four feet tall. 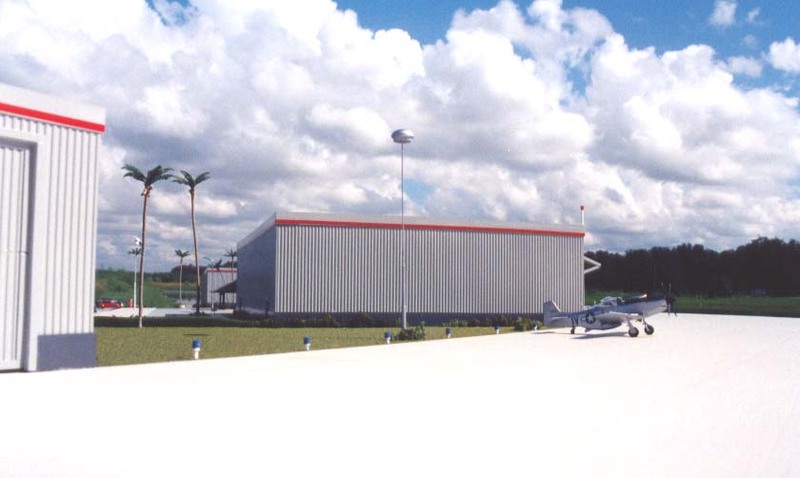 It was built from original construction drawings supplied by our client Hensel Phelps Construction. 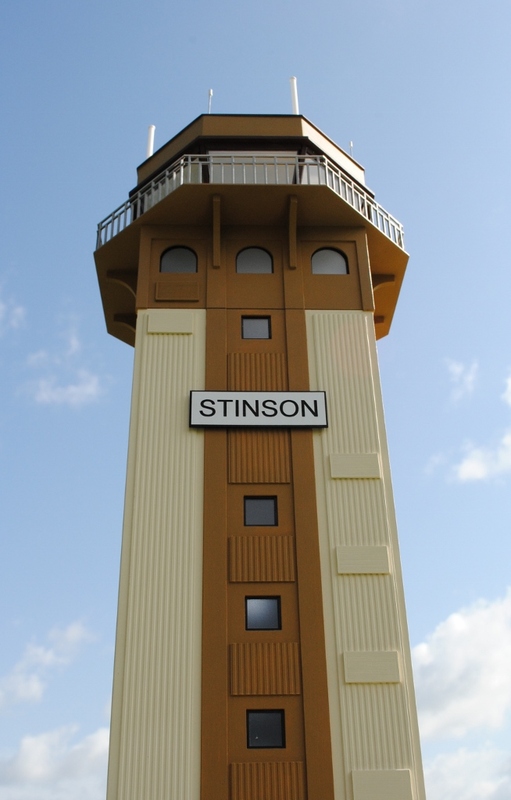 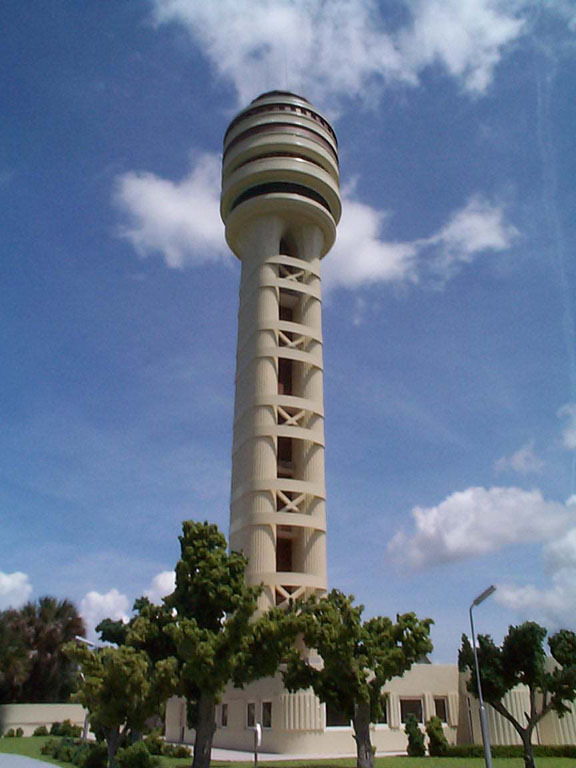 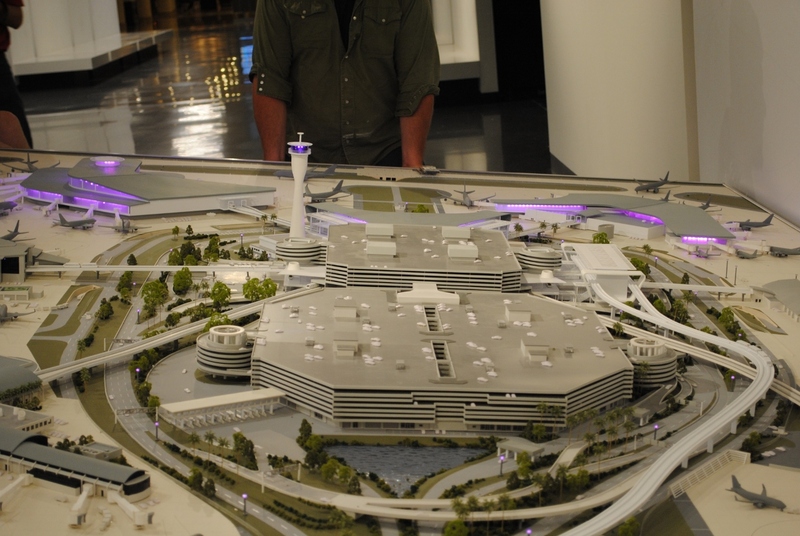 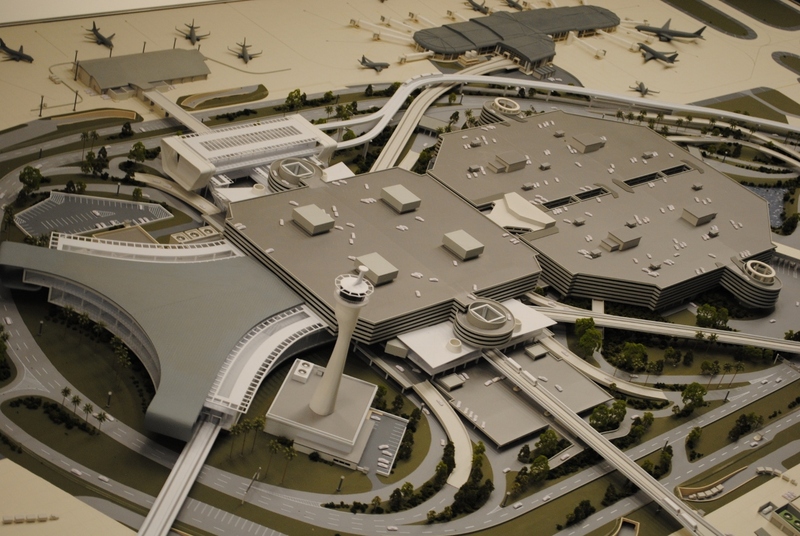 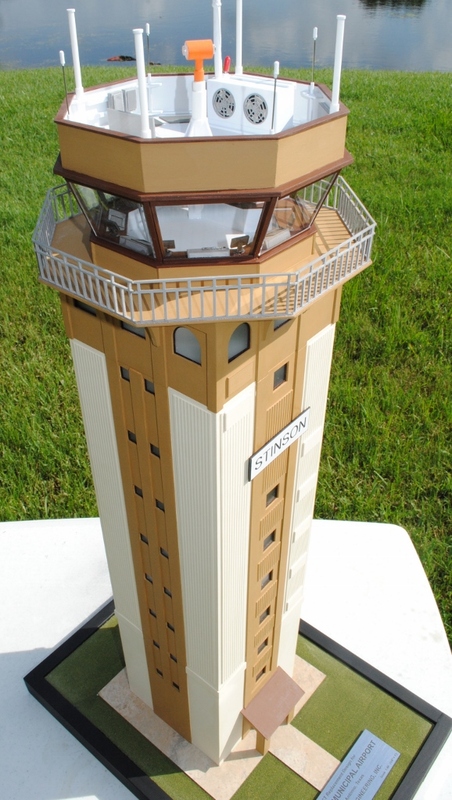 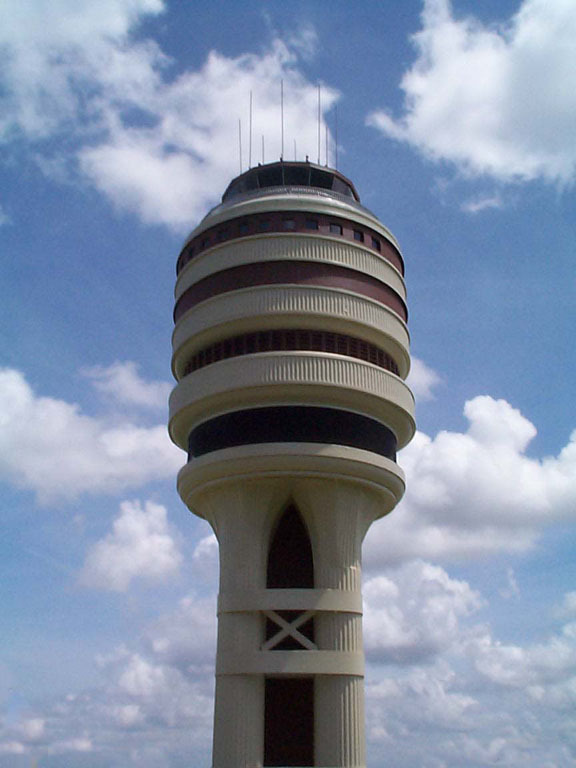 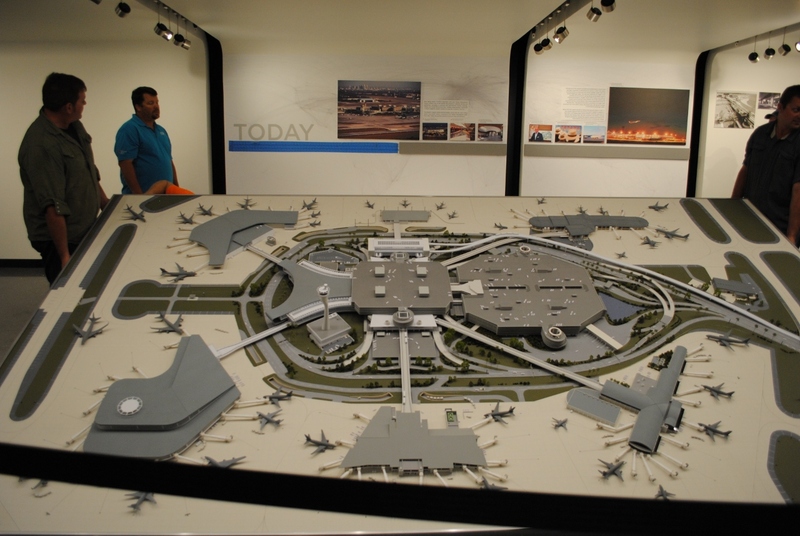 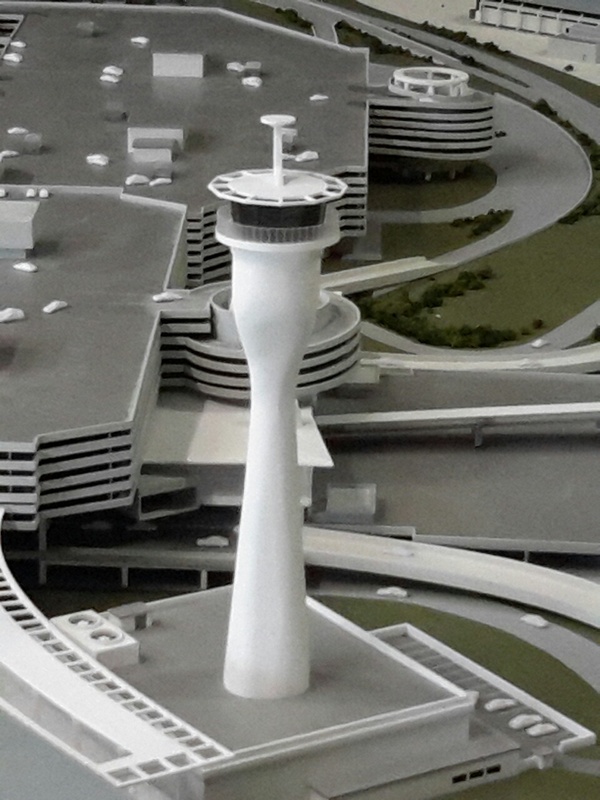 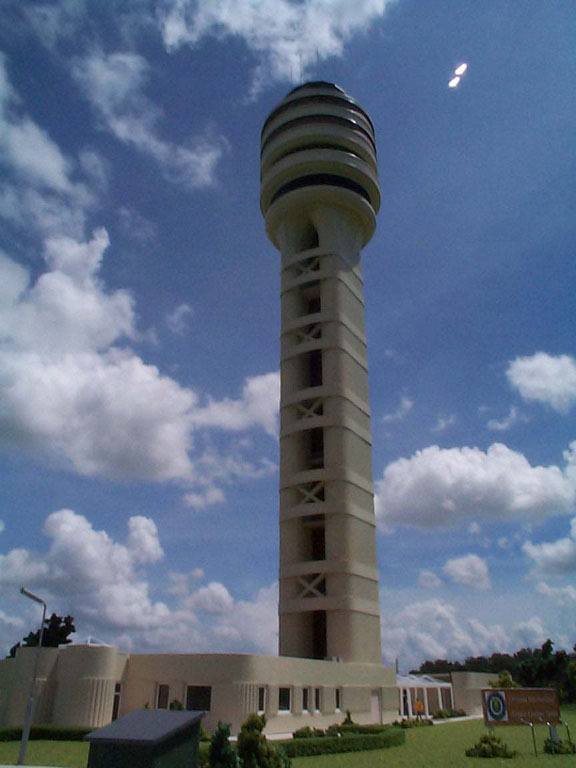 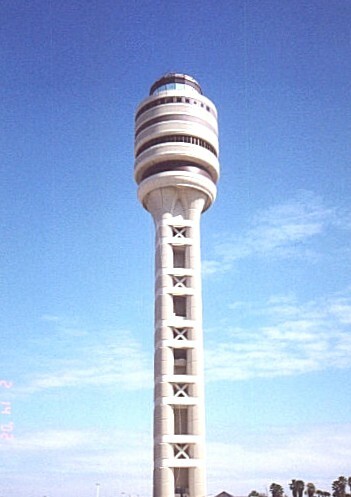 The model was displayed during construction of the real tower in Orlando and has since been presented to the FAA for display in their Atlanta GA. headquarters. 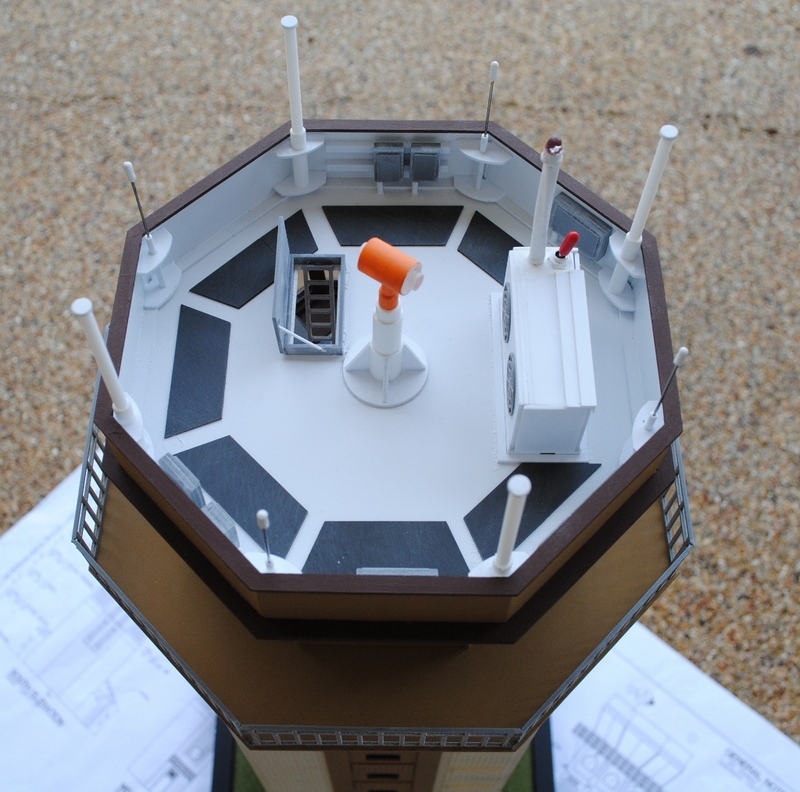 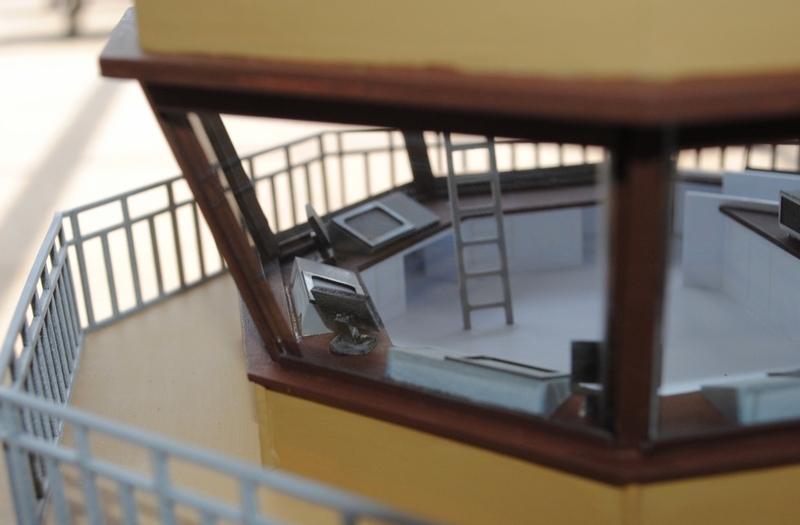 The following five photographs are a mix of the model and the actual finished tower. 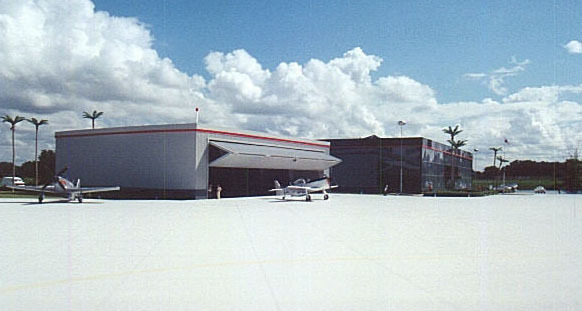 Embry Riddle Aviation University Administration Building. 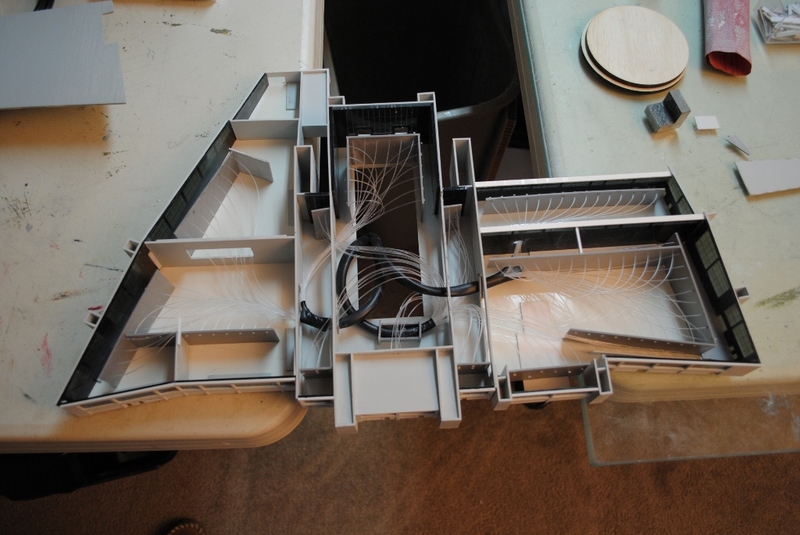 For Architects Gresham Smith & Ptnrs.